Safety. The print craft is non-toxic, no chemical elements and eco-friendly breathable, make home closer to the nature. Wash by hands or gentle cycle. Iron them in low temperature. Pinch pleat hooks included. Pleats pin hooks quantity: 9 pleats for 50 width; 13 pin pleats for 72 width; 19 pleats for 100 width; 23 pleats for 120 width. Fabric: 85% polyester 15% linen, printed. 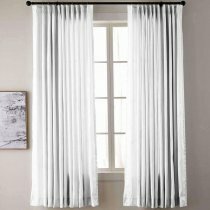 1- Rural pastoral window curtain looks fresh and graceful. It can make people feel closer to the nature. 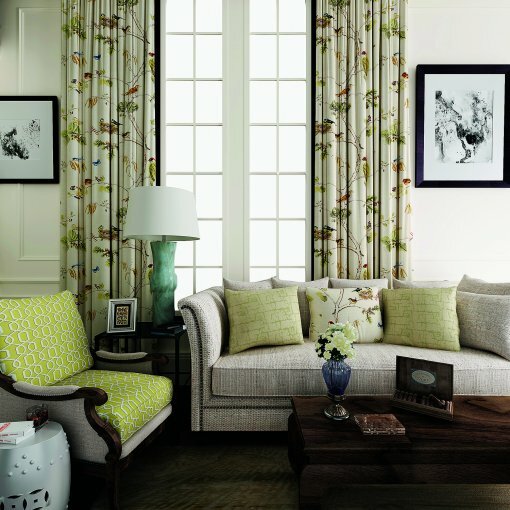 The curtain can go well with the indoor furnishing easily. People usually choose the curtain to decorate the bedroom or the living room and so on, make the curtain and the room more elegant. 2- Innovative weaving structure. It blocks out 99% of sunlight and reduce noise, insulate the heat and maintain the indoor temperature stable. Looks custom made. Color as shown. Fabric great quality with nice lining. These drapes are just beautiful, best I’ve ever seen! I love them.! Stunning! Exceptional quality and heavy weight fabric. Highly recommend. Received much quicker than quoted. Great curtains , order 4 panels all come quick and looks and feels high quality . Reasonable price. Ordering few more custom curtains. Very well made curtain! I ordered a 120 long, 8' tall single curtain. I took about a month to arrive, but was well made and included the hooks needed to hang it up. Very happy with this purchase.